Wow I have been slacking on this... life has just been busy. Finishing school, starting my internship, adjusting to working 9-5 every day... But I am ready to make blogging a priority again! 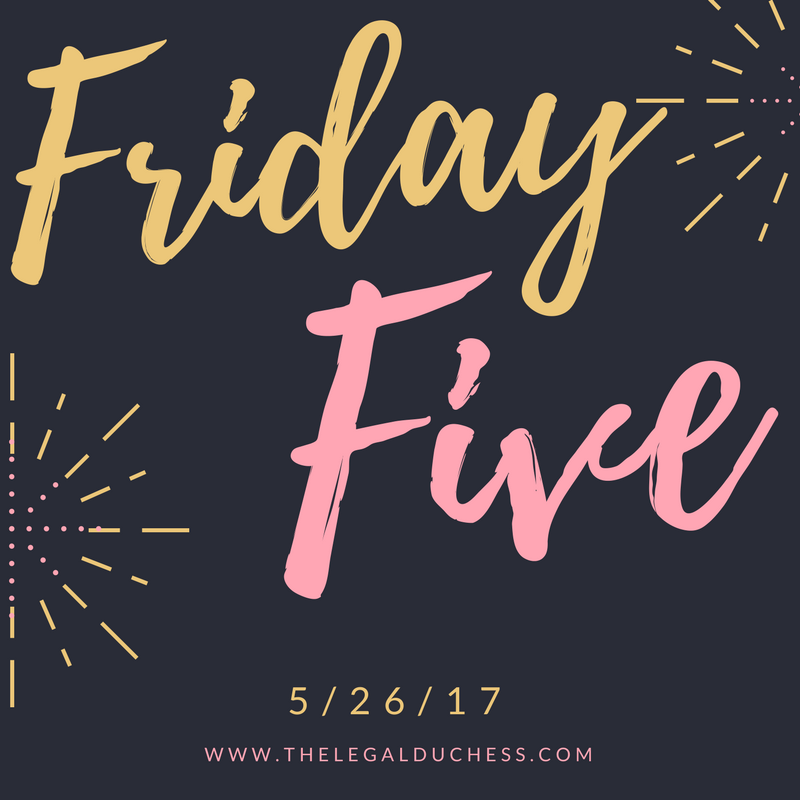 Without further adieu, five things I am thinking about this Friday! I may have skipped out on the One Direction craze but I am 110% on board with the Harry Styles craze of late. I am obsessed with his new album, I can't wait to see him in Dunkirk and he is absolutely hilarious with James Corden... they should co-host all the time. I watched all of the segments today and died laughing. An attorney in our office got me hooked on these this week. They are a perfect little burst of energy for mid-afternoon. They are little fruit drinks with natural B12 energy. I have to have one in my lunch every day now! Yay for new episodes! I adore this show- it is so cute and so fun. I got hooked on the first season last summer and I have anxiously been awaiting the next season. If you are looking for a quick, fun binge watch- this is it! I just got a shipment of these (detailed post coming soon) and I am obsessed. The basil scent especially is amazing. I went on a major house cleaning spree after they arrived and It was so nice to clean without worrying about harsh chemicals yet still getting a good clean. Happy Friday everyone! Enjoy the long weekend but do not forget the reason. Thank you to all service men and women, currently serving, retired or selflessly lost in service, who make this country safe and free. Memorial Day is a lot more than just a reason to have off work- do not forget that.